Any suggestions? Not looking for 5 star, but not low budget either. Is there a mom around? Maybe a cruise/tour, with a cruise through the inside and a tour that includes some Alaskan Salmon fishing. May sound crazy, but I think ex Miami Dolphin Larry Czonka lives and guides in Alaska. Wouldn't that be a nice double present. There is A "MOM" around (actually a step-mom), but this is a father-son thing (You think I would pay for him to fish Alaska and not also go?) I remember Alantani's post, I think that was more Party/Head boat type fishing. 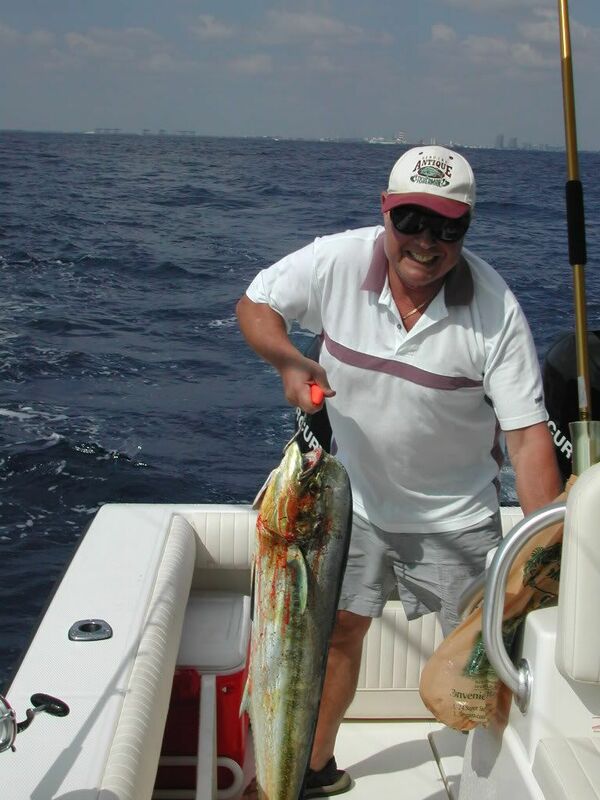 I am looking for Charter, I would also extend the invitation to some of his fishing buddies (they would have to pay their way - I'm not rich) I am thinking summer '08 to give him as 69th birthday (april 08) - Yes he is up to making the trip - he is in better shape than I am. Son , I would really like to fish the same charter that Alan Tani fished on as the weather up there is unpredictable and that boat had a head , galley and large deck space. But hey it's your dime and I'll go where you take me. Wish my Dad was still here to take him fishing. He died [ 54 years old ] before I got the new boat. Enjoy your time with your Dad while you can cuz you never know what tomorrow will bring. Hope you guy's catch lot's of fish. View Next Unread Plumbing Guys help?